We take pride in selecting only the freshest and best quality ingredients for our preserves. 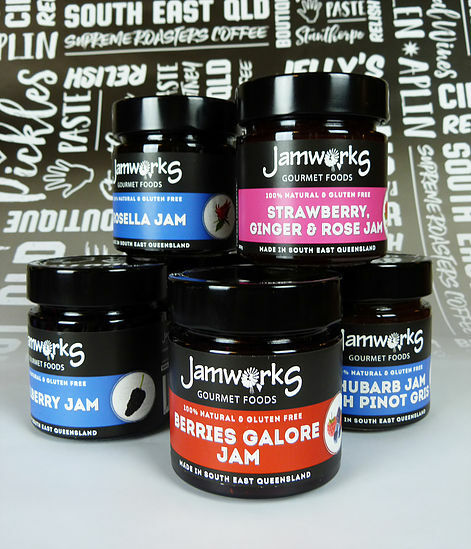 Jamworks Gourmet Foods Cafe & Larder. Visit us and try a wide selection of jams and relished at our tasting bar, our staff are always happy to assist and answer and questions. We offer a great range of tasty treats wither for morning or afternoon tea, or sit, relax and enjoy a perfectly complemented lunch matched with some of our famous condiments.